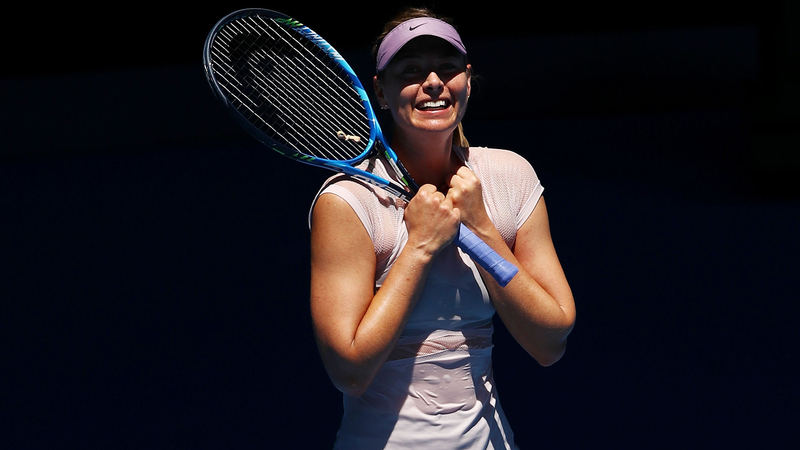 Maria Sharapova is the five-time winner of the Grand Slam and is an Olympic silver medalist in Tennis (2012 London). She is a tennis queen, holding the world #1 ranking in the sport for 21 weeks and named by Forbes as the highest paid female athlete of all time in 2005, for a record-breaking 11 years. Her autobiography is called Unstoppable: My Life so Far. She was born April 19, 1987 in Nyagan, Russia and hit her first tennis ball at 4 years old. After showing intense promise at such a young age and with the encouragement of Martina Navratilova, the family moved to the USA to give Sharapova the opportunity to train at the Nick Bollettieri’s prestigious tennis academy in Florida where kids hit tennis balls all day long. She is only one of ten women and the only Russian to hold the career Grand Slam. Her talent has been compared to the likes of Steffi Graf, Martina Navratilova, and Chris Evert. If you don’t know anything about tennis like us, just know, that’s a biiiiiggggg deal. She came to the USA with just $700 to her (and her father’s) name and has earned more than $38M in prize money from her tennis career. Outside of tennis she has a number of brand deals with companies like Nike, Prince, Avon, etc. bringing her earnings to the hundreds of millions and is an activist for the development and recovery of Chernobyl with the United Nations Development Programme. Her net worth is estimated to be $135-195 million, putting her at the top off-the-court female earning athletes for 11 straight years despite her temporary suspension from the game (DW we’ll address this). But stars have failures and Sharapova’s was in 2016 with the failure of her drug test at the 2016 Australian Open, testing positive for meldonium suspending her participation in the sport for two years by the International Tennis Federation. The two year sentence was reduced to fifteen months on the claim that she had taken the substance on the recommendation of a doctor with good faith. The World Anti-Doping Agency (WADA) had been monitoring the drug and only banned it, effective January 1 2016, because they found evidence of it being used by athletes for performance enhancement. At the middle of the first high-profile doping scandal in tennis, she took full responsibility for ingesting the drug and the tennis world, along with the rest of the world, quickly turned against her. People in the tennis world called for her 35 single titles to be stripped, attacked her personal character, and criticised her team for not checking the new list of banned drugs by WADA. So really, as far as doping scandals go, this is nothing. It was not systemized, it was not intentional, and it was not performance-enhancing in the realm of tennis. Sharapova accidentally did something wrong; broke the rules, but broke them nonetheless and was punished for it. She fought for the truth which reduced the sentence, putting her back on the court. When the suspension was announced, she found herself with what was to be 24 months without tennis when her heart and soul went into the game everyday since she was four years old. Now, she had time and she took full advantage of it, traveling to Barcelona, Croatia, London (outside of Wimbledon), dating multiple people at once, reading books. She read everything from The One Thing, to memoirs from extraordinary women like Love Warrior by Glennon Doyle Melton and The Glass Castle by Jeannette Wall. She took classes in leadership and brand management by Harvard Business School, interned at the NBA, Nike, and an ad agency in London, while ALSO writing her own memoir, with Rich Cohen. The girl does not stop working; she is so good. After long days of training in her youth in Russia, her father would reward her with sweets after a long day of practice. That sweet tooth is part of who she is and was a main motivator in the launch of her candy company, Sugarpova in 2012. “Sugarpova was created out of a desire for me to share a little taste of my lifestyle with my fans and candy-loving consumers.” And girl, we support you. There is nothing in this world that is as satisfying, or happiness-inducing (you know, besides friends, family, and whatever) than sweets. She started thinking about this business during a shoulder injury in 2008 at just 21 years old. Sidelined because of recovery, she was thinking about business. The candy is available in 22 countries in over 50,000 locations around the world. Sharapova is a powerful role model. What are some of the books that have shaped her over her years? The Beggar King and the Secret of Happiness is that rare, magical book—a book that tells a good story but also shows us how the tales we learned when we were children shed light on our adult lives. Joel ben Izzy had the unusual opportunity to relive those lessons when he lost his voice and reconnected with his old teacher, Lenny, a retired storyteller. Through his meetings with Lenny, Joel rediscovers the wisdom of ancient tales and takes us on a journey into a world of beggars and kings, monks and tigers, lost horses and buried treasures—and in the end tells us the secret of happiness. YOU WANT LESS. You want fewer distractions and less on your plate. The daily barrage of e-mails, texts, tweets, messages, and meetings distract you and stress you out. The simultaneous demands of work and family are taking a toll. And what's the cost? Second-rate work, missed deadlines, smaller paychecks, fewer promotions--and lots of stress. AND YOU WANT MORE. You want more productivity from your work. More income for a better lifestyle. You want more satisfaction from life, and more time for yourself, your family, and your friends. NOW YOU CAN HAVE BOTH--LESS AND MORE. In The ONE Thing, you'll learn to * cut through the clutter * achieve better results in less time * build momentum toward your goal* dial down the stress * overcome that overwhelmed feeling * revive your energy * stay on track * master what matters to you The ONE Thing delivers extraordinary results in every area of your life--work, personal, family, and spiritual. WHAT'S YOUR ONE THING?